How to Stop Hair Fall: Hair loss is becoming a headache for young people and this health issue is growing rapidly. 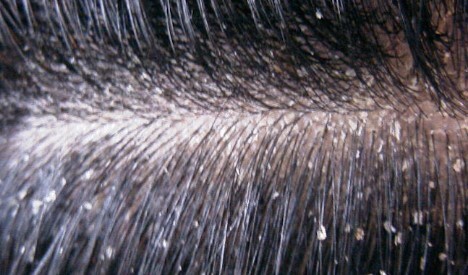 There are 100000 hairs on your scalp losing 50 to 100 hairs in a day is normal. Tension increases when you start losing more than 100 hairs in a day. As it is very hard to count hair you losing every day but if the number is going above then normal you can feel baldness in patches. Hair falling out problem increases with age but it can also happen in children. It can be temporary or permanent. There are many causes of hair loss such as lack of protein, excessive use of chemical, genetic etc. Before you go for more chemical to control hair loss we suggest you go natural and ayurvedic remedies. Natural remedies have incredible ingredients for hair fall treatment which we will explain later in this article. 1 Causes of Hair loss, why hair falling out happens? Causes of Hair loss, why hair falling out happens? Physical Stress – Any type of physical trauma, surgery or accident could be the reason for hair loss. Pregnancy is a common example of physical stress and hair loss mostly happen after you delivered the baby. A Large amount of Vitamin A- Taking too much vitamin A-containing supplements or medications can cause hair loss, according to the American Academy of Dermatology (AAD). Lack of Protein-Protein is very important for hair growth and strength. If you are not taking enough protein it may stop the hair growth. Heredity- A Female pattern of hair loss which also known as androgenic or androgenetic alopecia. If you belong to a family where women started to have hair loss at some certain age, then you are likely to have this problem. Hormones- As a pregnant woman feels the change in hormones, so does the woman who takes birth control pills and this change in hormones can cause excessive hair fall. Stress: Emotional stress is more likely to cause hair falling out than physical stress. Environmental effect- It is also one of the major reason for hair loss like polluted water, air pollution. Anemia- one out of ten women aged 20 to 49 are suffering from Anemia. Anemia is an iron deficiency problem which may cause hair loss. Excessive use of the chemical. Oil massage is one easy and best home remedy for control hair fall control. A good oil massage strength hair’s roots and increases blood flow to the hair follicles. It also reduces stress and makes you feel relax. There are many types’ of oils you can use for massage such as almond or coconut oil, olive oil, castor oil, amla oil etc. Apart from these you can use argan oil and wheat germ oil too. For better result add few drops of rosemary oil to any of the oil mentions earlier. Do Massage any of the oil mentions above with fingertips on your scalp and hair’s root. You can message one hour before taking bath or before going to bed. Do this at least twice in a week. Coconut milk another home remedy which nourish hair tissue, make them stronger and control hair loss. This remedy you can use twice in a week one hour before taking bath. Many people don’t know about this home remedy but onion juice is a very effective treatment for hair fall. It contains a large amount of sulfur that increasing collagen production and which helps you in hair growth. Massaging onion juice on the scalp with fingertips can control hair fall. Grind two onion and squeeze out the juice. Massage juice slowly on your scalp with fingertips. Wash your hair after 15 minutes and let them dry completely. You can use shampoo to wash your hair may smell like onion. Do this onion juice massage twice in a week for a better result. Garlic is a very popular ingredient for beauty products. It also contains a large amount of sulfur like an onion. Mix few crushed cloves of garlic in coconut oil and boil the mixture for a few minutes. Let the mixture cool down and then massage it into your scalp gently. Leave this mixture for 30 minutes on your scalp. Massage this garlic and coconut oil mixture twice or thrice in a week. The egg is a good source of protein which makes your hair stronger. You can make egg oil at home or you can buy it from the store. This is a very good remedy to prevent and cure hair loss. Way to use egg for hair loss treatment. Massage egg oil on your scalp with fingertips and leave for overnight. Use egg oil twice or thrice in a week. Regular, continued use is important for hair fall control and nourishment of the cell membrane. Wash your hair with shampoo in the morning prefer to use herbal shampoo. Let your hairs completely dry. Egg oil is a better alternative to raw egg because it’s not messy and stinky. Henna is one of the best remedies for hair fall control. It is a green powder with the texture of talc that seals the hair cuticle and also your hair stronger. It is mostly used in hair color or conditioner. Take 60g of dry and washed henna and boil in 250 ml of mustard oil till the leaves burn. Let it cool down and filter the oil. Massage the oil mixture on your scalp and rest you can save for later. Try to massage twice or thrice in a week for a 3 to 4 month for a better result. Another way to use henna is to make it into powder and mix with curd. Apply this paste on your hair and leave it there for 30 minutes then wash your hair. It is also known as Amla which is widely known as a natural remedy for hair growth. Indian gooseberry is rich with vitamin C and can start hair loss control immediately but not completely. It has antioxidant, antibacterial, and the exfoliating properties help you maintain healthy hairs root and promote hair growth. Mix one tablespoon of Amla juice with lemon juice. Massage mixture on your scalp gently and leave it on overnight then wash your hair in the morning. You can use Amla pulp instead of juice. Do this twice or thrice in a week for the better result. Fenugreek seeds are also a very good Natural remedy to control hair fall. They contain hormone antecedents that increase hair growth and help rebuild hair follicles. Fenugreek seeds also contain protein which improves the health of hair and strong their root. Take one cup fenugreek seeds and soak it for overnight in water. Grind soaked seeds into a paste which you can apply on your scalp. Apply this paste for 40 minutes then wash your hairs. For better result use this remedy every day for a month are so. Beetroot natural herb is full of nutrients like carbohydrates, protein, calcium, vitamin B and phosphorus. These nutrients are very important for hair loss control and hair growth. Drinking fresh beetroot juice is a good way to use it. Include this juice in your diet. You can also drink spinach juice, alfalfa juice, lettuce juice, or carrot juice will help you to keep your hair on your head. Take few boiled leaves of beetroot along with henna and make into a paste. Apply this paste on your scalp. Leave it for 20 to 25 minutes then wash your hair. Apply this paste twice or thrice in a week. Bhringaraj is also known as the king of herbs. It does not only control hair loss but also helps to grow new hairs. It is considered as a natural conditioner and also prevents hair from graying. Way to use ayurvedic Bhringaraj Oil for Hair Fall. Massage Bhringraj oil on your scalp gently for overnight. It also a good remedy for stress and provide you relaxation. Ashwagandha is also known as Indian winter cherry. It is amazing her for hair fall control. 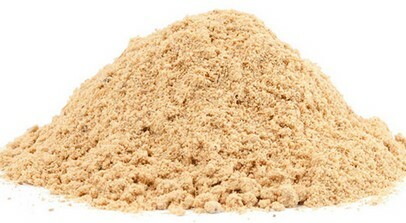 Ashwagandha is a commonly used herb in Ayurveda for hair fall cure. It is available in powder form. You can take ashwagandha powder orally. But we advise you to visit a physician first before taking it. Because he can tell the exact amount of dosage your body required. Another way to use ashwagandha powder by mixing with Brahmi (Indian pennywort) and Amla(Indian Gooseberry), add some water to make it into a paste. Apply this paste on your scalp for 20-25 minutes then wash your hair. Baba Ramdev natural herbal shampoo is a good hair treatment for the problem like dandruff, hair loss, hair graying etc. The shampoo contains many natural herbal ingredients like Reetha, Amla, Bhringraj, Henna, Shikakai. Kesh Kanti Shampoo – it is good for hair growth. Use one teaspoon of shampoo on your hair and massage it gently on the scalp. Leave it for 5-10 minutes and wash with water. It will provide natural shine to your hair and help in growth. It is one of the best yoga asanas which helps you to control hair loss. This yoga asana increases blood circulation in your brain and helps nourish the thyroid gland which very useful in hair fall control. This one of the best yoga asana for hair growth, which increases blood circulation in the head and the crown region which in turn nourishes the hair follicles. Note: For more yoga asana and tips you can watch Baba Ramdev videos on YouTube. 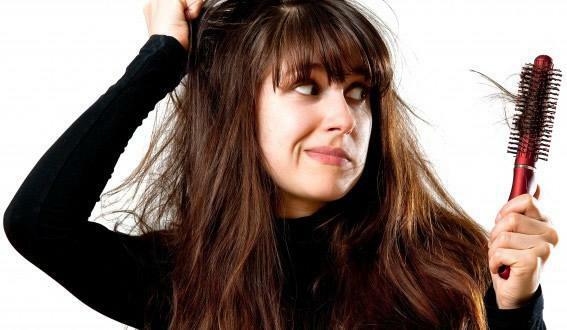 Diet- Bad diet could be one of the reasons for hair loss. Avoid eating oily, spicy and junk food. Eat more fruits, vegetables because they contain many natural ingredients which help in hair growth. Meditation– As we know stress could be one of the reasons for hair loss. So doing meditation help you to relax and make you stress-free which helps you to control hair loss. Quit Smoking and drinking alcohol excessively- Excessive Smoking and alcohol could be one of the reasons for hair loss. So suggest you quit smoking to control hair loss.